There was a prodigious proliferation of World War 1 memorials across Australia after the war, demonstrating that the war deeply affected and touched Australians emotionally and psychologically. This was a volunteer army and the dead did not return to Australia to be buried. The Australian World War I memorials are also unique as they typically include all those who served from a district or town, not just those who gave their lives. Often, as with the Holy Trinity memorial, those who did not return are marked with a cross. Because this war had been so horrific and such a catastrophe in terms of human lives, the returning solders and others sometimes called it the War to End all Wars or The Great War. Many of the memorials from World War 1 onwards have Lest we Forget , engraved on them, in recognition of the sacrifice of those involved and to remind us all how terrible total war had become. 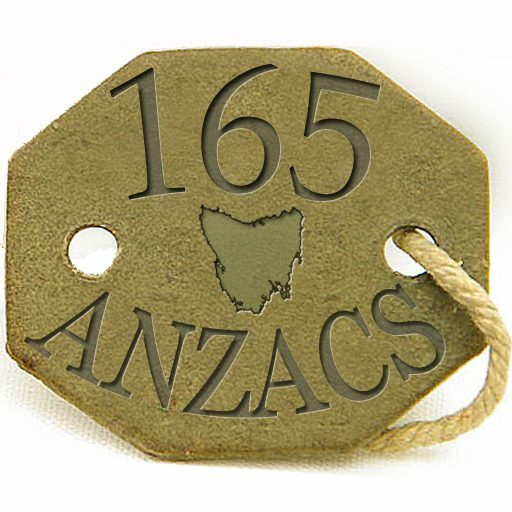 The statement also acknowledges that participation in World War 1 changed people and the sacrifice the ANZACs and others made was ongoing and indirectly included their families. Although this book is focussed on the war memorial located in Holy Trinity there is another local war memorial, the Pozières Cross that needs to be recognised. This memorial is located at the Anglican Launceston Church Grammar School and Stephen Norris the Headmaster of the school in 2017 provided the following details about this memorial. Soldiers on the battlefields during WW1 sometimes raised their own memorials to fallen colleagues. 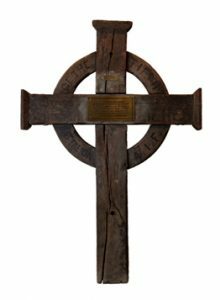 The Pozières Cross from the First World War resides in the Narthex of the Launceston Church Grammar School’s Chapel. The cross is a sturdy roughhewn Celtic Cross raised on the Somme Battlefield in 1916 by those who survived that dreadful conflict in honour of the fallen comrades. It has been made from whatever materials were at hand and part of it appears to be made from a road sign as part of the word Pozieres can clearly be seen on the cross-piece. On the circular part of the Cross are written the words Fifth Battalion of the A.I.F. The Pozières Cross carries two plaques. The plaque at the top states: This Cross is entrusted to your care by the Australian War Memorial. On the centre plaque is written: This Cross was erected at Pozieres in France in memory of Australian soldiers who fell fighting there and at Mouquet Farm in 1916. After the war it was replaced by the permanent memorials erected by the Imperial War Graves Commission. Jon Hosford is a retired educator and voluntary website manager for the Holy Trinity, Launceston parish. This entry was posted in Uncategorized by Jon Hosford. Bookmark the permalink. Proudly powered by WordPress. Website designed by Bradley Wood and adapted from Twenty Eleven. Copyright 2017.